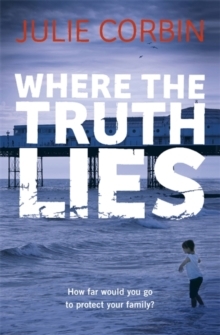 A gripping psychological thriller for fans of Lisa Jewell and C.L Taylor. 500 five star Goodreads ratingOnce you start reading, you won't want to stop. Two women, two secrets, one murder... If someone took away your perfect life, how far would you go to get it back? Ellen's family is her world. So when her husband leaves her for another woman, she is almost destroyed. But not quite, because Ellen has a plan, a way to make those who have hurt her suffer. Leila is the other woman. She finally has everything she ever wanted. But Leila's brother has come back into her life, raking up a past that needs to stay buried. One of them will pay for their actions with their life, but which one? ******* Goodreads reviews'It was a unique novel, the story was nothing like I have ever read before. I was gripped all the way through and I'll definitely be recommending it to my other book lover friends. Can't wait to read more by Julie Corbin! 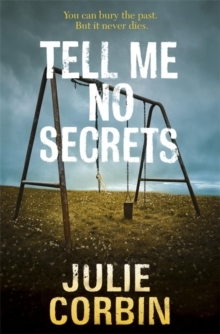 ''An excellent psychological drama...It's not difficult to see why Julie Corbin is so highly rated and her back catalogue has just made my tbr list that bit more unmanageable. Definitely recommend this. 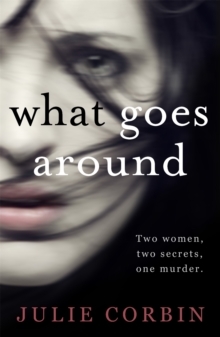 ''I've been a fan of Julie's books for a few years now, so was really looking forward to reading 'What goes around'. Her books are very well written and always gripping, and this one is no exception. 'Netgalley reviews'It's dark, its obsessive, it's compelling...this author really knows how to work her audience. 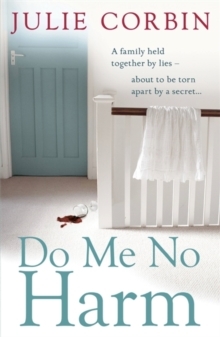 ''The book is brilliantly constructed making it a 'can't put it down' read, so much so I was trying to read the book while walking home, much to the dismay of my partner! ''What Goes Around is at times intense and disturbing, but has an unpredictability that keeps you guessing right to the end. A superb read! 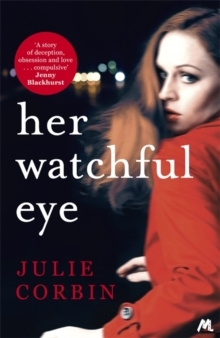 'If you love this, look out for Julie Corbin's brand new psychological thriller HER WATCHFUL EYE.